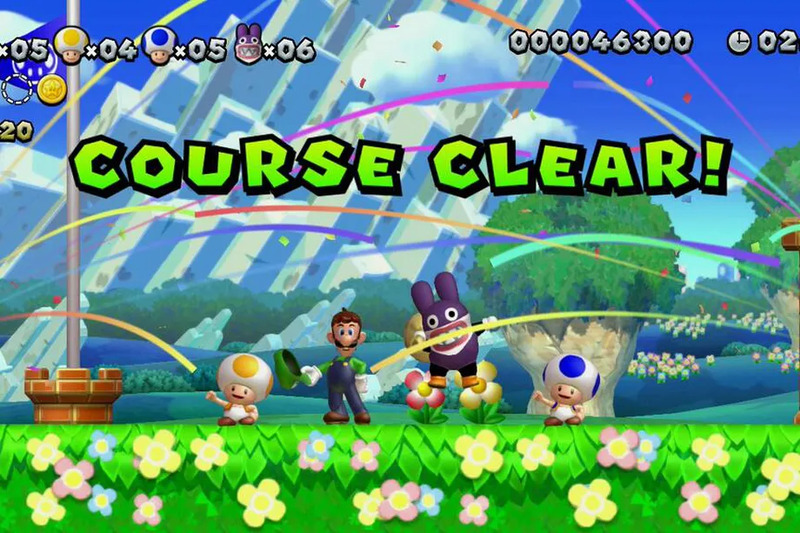 Am I the only one who thought it was strange that the first two Mario games released for the Nintendo Switch had rabbit characters playing a prominent role? And not just any rabbits, but ones with goofy, cartoonish features. Since Easter is coming up, I thought they’d be any appropriate topic to discuss, even though I haven’t played either of these games and have only seen a little bit of gameplay footage. When has that ever stopped me before, though? I’d say it’s probably not fair to discuss the games as games without playing them, but the characters are fair game. Or is that “hare game”? Super Mario Odyssey has the Broodals, a family of shady wedding planners from the Moon, whom you have to fight as mini-bosses. Their collective name is a triple pun on “brood,” “bridal,” and “brutal.” Bowser hired them to gather the items he needs for his wedding to Princess Peach, although you’d think his money would be better spent hiring a lawyer who could convince people that her marriage under duress was at all legally binding. But anyway, there are four Broodals, each with their own job and mannerisms. Topper, the short one with multiple top hats and a tough-guy Brooklyn accent, handles client relations. Spewart is in charge of entertainment, and attacks by spitting poisonous goop similar to what you have to clean up in Super Mario Sunshine. The explosive-tempered Hariet does fireworks, and flings bombs with her hair. Rango, the bouncer, is tall and a bit dim, speaks with a drawl, and fights with a boomerang trampoline hat. With the bow tie, he reminds me a bit of Roger Rabbit, although the wiki suggests he might have been based more on Goofy. Their boss, and likely their mother as well, is a giant rabbit called Madame Broode, who has a giant pet Chain Chomp. Their home is Rabbit Ridge on the Moon, presumably because of the Moon Rabbit from East Asian culture. Like the Koopalings, they wear spiked cuffs and ride around in an airship. 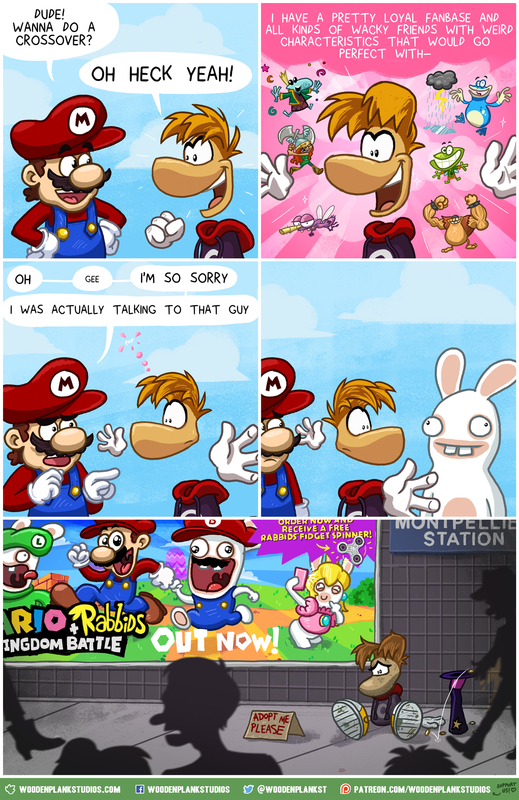 The other game is, of course, Mario + Rabbids: Kingdom Battle, and it’s a crossover. I can recall seeing the Rabbids as stuffed toys, but I don’t think I knew their origin until I looked it up not too long ago. They were originally antagonists in the Rayman series, but they later spun off and got their own games, and are probably more popular than Rayman. Poor guy, first the lack of arms and legs, and now this. Most of their titles have been mini-game collections, although there were a few platformers as well. So the crossover is a turn-based strategy/tactics role-playing game where the main weapons are ray guns, because why not? Apparently the creatures’ origin is unknown, but one game says they were originally peaceful before being bullied by other animals, after which they went crazy. They’re mostly chaotic and not too bright, although a few of them can make fairly advanced machinery. 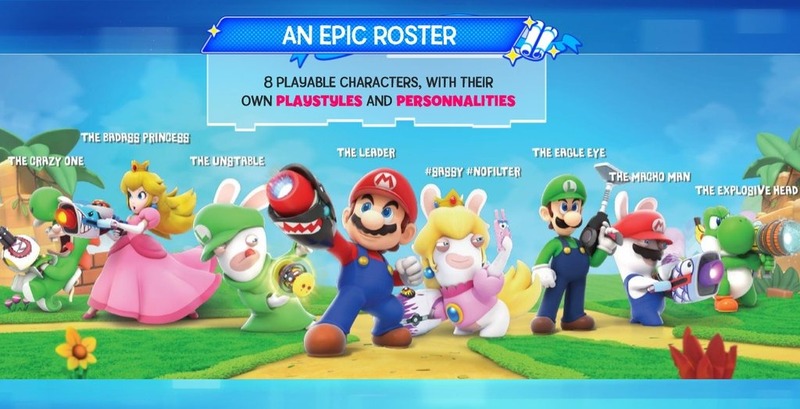 They also have a tendency to take on the personalities of costumes they wear, which comes into play when they arrive in the Mushroom Kingdom, becoming Rabbid versions of Mario, Luigi, Peach, Yoshi, and Donkey Kong. Most of these alien bunnies are enemies, but a few serve as allies. He’s named after the Nintendo 64 processor, the Microprocessor without Interlocking Pipeline Stages; and was originally made for tests, but the developers liked him enough to put him in an actual game. MIPS isn’t there in the DS remake, but there are a bunch of other rabbits you can chase to unlock mini-games. 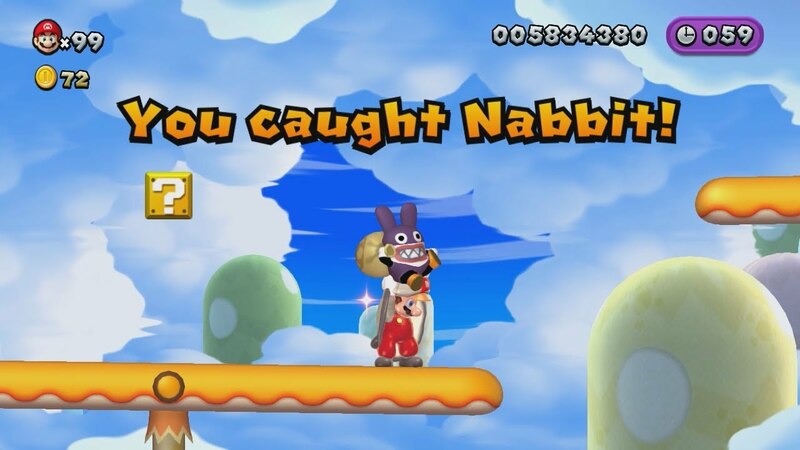 The rabbit-chasing mechanic has carried over to other games as well, most prominently in New Super Mario Bros. U with the character of Nabbit. 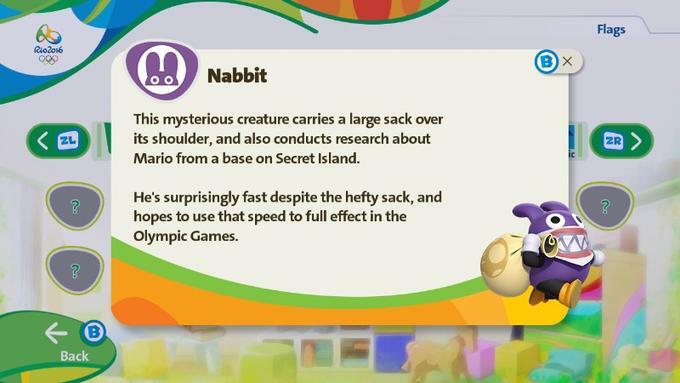 He’s a purple rabbit who wears a bandana much like Bowser Jr.’s and steals stuff, which you have to chase him to get back. In the remade version of the game, New Super Luigi U, he’s playable, which is quite a step up for a new character. He’s immune to enemy attacks (pits and lava will still kill him), but can’t use items. My guess would be that he was made playable because he was already animated to move through different stages, rather than simply moving in a set pattern like most enemies. It must be kind of a blow to other characters who still haven’t been playable in a main series game, though. He shows up in a few spin-off games as well, including one in the Mario & Luigi series. He seems to not have any particular loyalty to anyone but himself, and will help or hinder Mario and company depending on the occasion. The weird thing is that he also runs the Records Toad House on Secret Island, and keeps track of what the heroes are doing. I guess even he can’t help but be hooked on the Brothers. 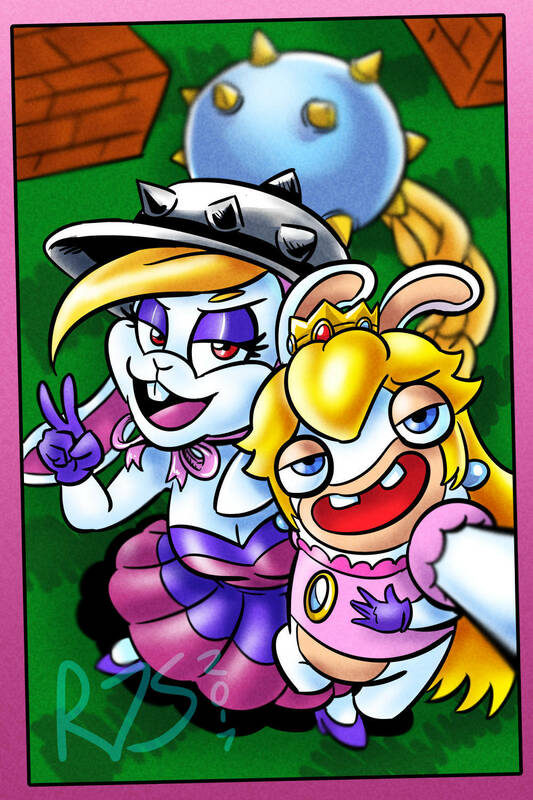 I appreciate that the Mario Wiki entry on rabbits includes Roy Koopa’s much-abused pet rabbit Pookie from the Nintendo Comics System, and Peach’s father being turned into a rabbit in one of the Nintendo Adventure Books. There’s also a sketch of Mario jumping toward a rabbit wearing sunglasses and sitting on top of a car in the Nintendo Power’s 1991 Mario Mania guide, and I’m still not sure what that’s supposed to be about. This accompanies an interview where Shigeru Miyamoto says the Koopalings were based on the design team for Super Mario Bros. 3, so I thought the rabbit might have been based on the same person as Roy, but there’s really no reason to think that other than the shades. And Mario could use rabbit ears to flutter downwards in Super Mario Land 2, although I’m not sure of the physics involved there. I was thinking of including other video game rabbits in this post, but I think that will have to wait for another one. 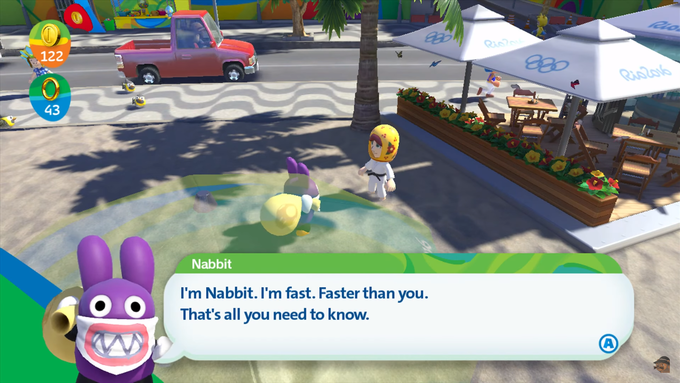 I already asked this on Twitter and Facebook, but who are some of your favorite rabbit or rabbit-like video game characters? This entry was posted in Animals, Comics, Mario, Video Games and tagged broodals, chain chomps, hariet, koopalings, madame broode, mario + rabbids kingdom battle, mario mania, mips, moon, mushroom king, mushroom kingdom, nabbit, new super luigi u, new super mario bros. u, nintendo adventure books, nintendo comics system, nintendo power, pookie, rabbids, rabbit ridge, rabbits, rango, raving rabbids, rayman, roy koopa, shigeru miyamoto, spewart, super mario 64, super mario land 2, super mario odyssey, topper. Bookmark the permalink.